Fresh and durable, Virco’s 3000 Series is constructed of colorfast, scratch-resistant, flameproof Mar test 21Ⓡ. Hard plastic seats and separate backs are remarkably chip-resistant and retain a bright, fresh look semester after semester. Virco’s 3000 Series Chair Combo with Tablet Arm gives you the strength and long-lasting performance of Virco's hard plastic seats, backs and work surfaces. 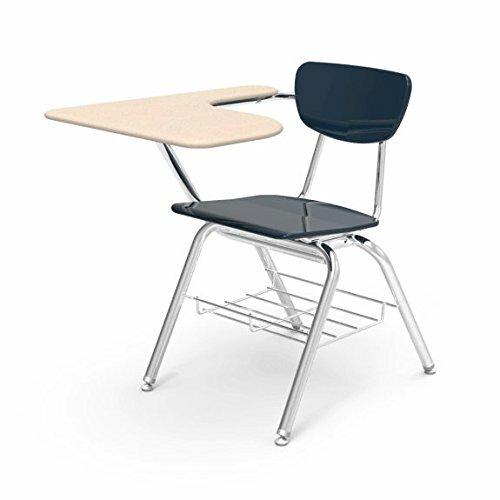 Featuring a convenient, space-saving tablet arm and a welded-on, steel-rod bookrack to help maximize classroom space. Features a convenient, space-saving tablet arm that measures 20" x 28" x 14-1/2"
If you have any questions about this product by Virco, contact us by completing and submitting the form below. If you are looking for a specif part number, please include it with your message.